I Love You - Gifts - Balloons - Perth City Florist - Free Flower Delivery Across ALL Perth Suburbs when you order online - Fast Online Ordering. Description: Let the world know you are in love!!! 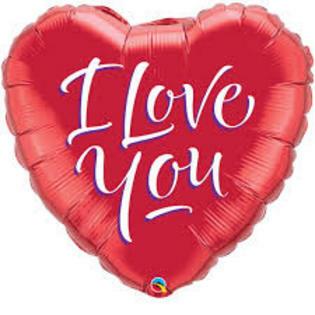 Helium filled heart shaped I Love You balloon, an eye catching addition to your floral arrangement or hamper. Deluxe price includes a balloon weight.